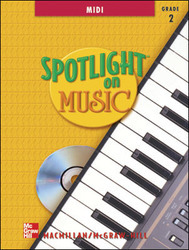 Spotlight on MIDI brings the power of professional music technology into the classroom in a complete, easy-to-use program correlated with Spotlight on Music. (MIDI files provided in multiple formats.) Includes CD-ROM with single-user license.